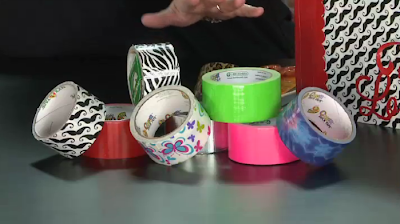 It's cool, hip and a lot of fun to craft with, Duct Tape. 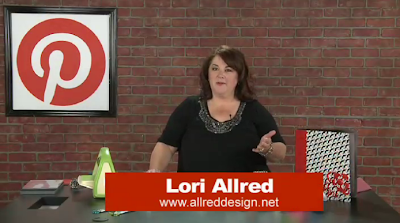 Join Lori Allred as she shares her take on how to get creative with this fun, sticky medium. Learn to make a basic flower and how to run it through your different cutting machines. 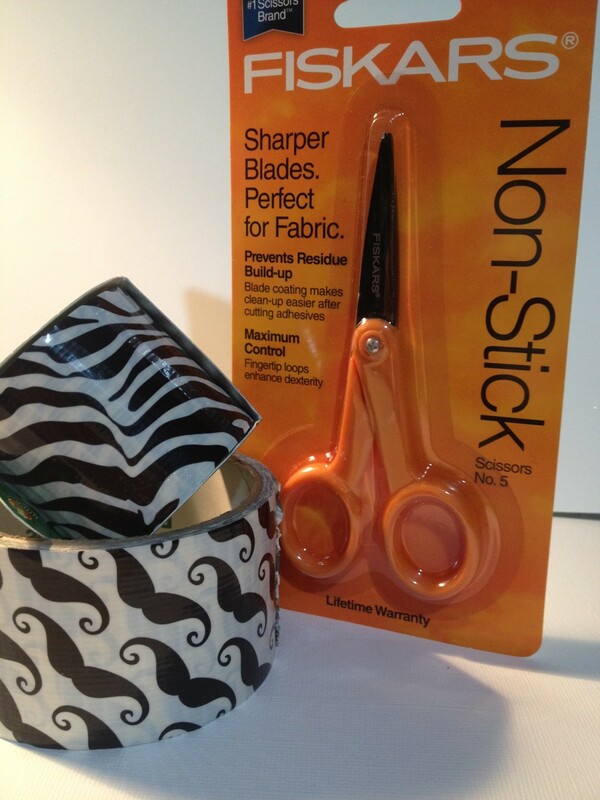 Be sure to check out Lori's blog to see how you could win some cool, printed rolls of Duct Tape and non-stick scissors. Scroll to the bottom of this post to see how to enter the giveaway! You could win a full roll of this fun Mustache Duct Tape, Solid Color Duct Tape Roll (now shown), a Mini Roll of the Zebra Duct Tape and a pair of these fabulous Fiskars Non-Stick Scissors. Each person can leave up to FOUR SEPARATE COMMENTS….increasing your chances of winning! One comment per task completed. 1. Watch the Inspired by Pinterest (Duct Tape Episode)and come back here and leave a comment saying what you liked. 2. Facebook or Tweet about my Inspired by Pinterest Show on My Craft Channel and come back and leave a comment below saying you did so. 3. Follow My Craft Channel on Facebook THEN come back here and leave a comment underneath this post saying you did so. 4. Follow my blog with by email and/or Friend Connect THEN come back here and leave a comment saying you did so. Good luck! Giveaway ends this Monday, May 28th, at 11:59 PM. Winner Announced on Tuesday May 29th. fun decorating and crafting ideas with TRAYS. My first view of duct tape crafts. Haven't really been interested but this was fun to watch! I enjoyed seeing how you can piece the duct tape to be cut in a die cutting machine or the cricut. 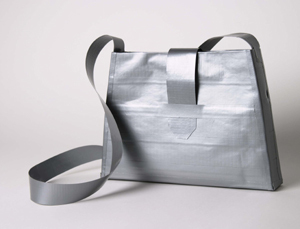 With so many cool patterns of duct tape, the possibilities are endless. Thanks so much for the inspiration! We love Duct Tape ! Love all your episodes, Lori ! You made the roses look easy and I think I'm going to try making a pen-- makes it harder for it to "walk away". We've made others with silk flowers, metallic streamers etc. 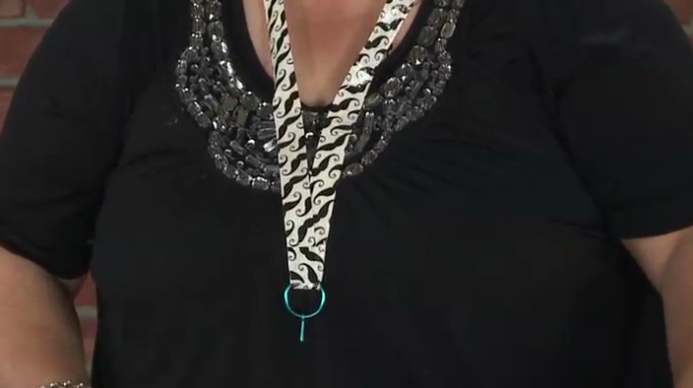 Also love the lanyard and I know my DD will want to make one of those cause she's been needing one for her keys (just turned 16) and one of her friends gave her a roll of ink splot tape for her birthday ! Ripping lengthwise and making those strips adds to more ideas! Looks like a lot of fun! I just watched your episode. Just signed up to follow your blog by email ! Really like this one. and I haven't seen the stach tape. I don't know if I can get that Duct tape here in the UK - off to surf now to see. Thanks for showing all those cute things. I was surprised to see that you could cut duct tape with the cricut. Thanks for today's tips. I follow you by email, and I have been following you for a long time by having you on my reader page!!! I follow you on pinterest. I started when I started watching you on My Craft Channel. I have watched the channel from the beginning! I don'[t think I follow on facebook, so here goes... Now I do!! I love the idea of using my Cricut and Cuddlebug with Duct Tape. Anytime I can find another use for my expensive toys, I am happy. The notebook looks great, so I'll be trying it. When I win the prize package you're giving today, I will make a zoo album to display all of my animal photos. I am now following your blog. Will look forward to checking in often to see what I can create! I loved the tip on tearing the tape lengthwise, but QUCKLY!!! Just started to follow you on Pinterest -- that might be a very bad "good thing" ! LOL -- you find some good stuff -- I get lost wandering from pin to pin ! Thank you for the tip on how to run the tape through a cutter. My teenage son makes all sorts of things, but now I have the advantage! The creativity contest is on! I follow My Craft Channel on Facebook, that's how I found you. Last night my husband mentioned he wants a lanyard for his cell phone, so I'm going to check out the duct tape how to for that. But what grabbed my attention the most during today's episode was that you used your Silhouette to cut your name out of duct tape. I'm always looking for inspiration for different ways to use my Silhouette. I love your show. Thanks for sharing! Loved your episode!! I never thought about using a die cutter with duct tape, thanks for the demo on it. Thanks for all your inspiration! I like how you showed how to double back the tape for a diecut or cricut machine. Thanks! Love the ideas! I'd like to make the notebook and lanyards! I already follow MCC on Facebook. 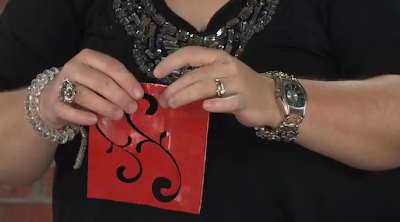 Loved the instruction on how to use your die-cutting machine with duct tape. Never thought of that. Look forward to seeing more of your designs as read your blog. Love the no stick scissors tip for working with duct tape. I've been seeing a lot of the different patterned duct tape lately. I'm going to try running through my cricut die cut machine. Tahnks for all your tips!! I follow craft channel and would love to win this giveaway. my 8 year old is a duct tape hoarder! she recently made her own flip flops using cardboard from a box and duct tape and wears them around the house. she does not understand why I won't let her wear them to school! Ha! They are actually holding up so far and go great with her headbands, jewelry and handbags! 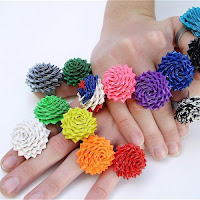 I love Duct tape, I remember making a bouquet of flowers when I was younger! loved your episode ! well actually I love all your episodes! Thanks for the chance to win ! Love the die cuts, I have that tie dye blue. I must try that with my dies, Thanks! 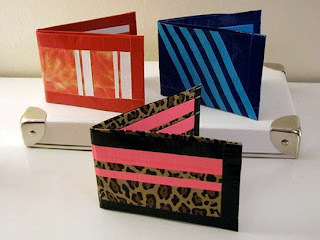 I love the die cuts and the wallets! I follow My Craft Channel on facebook. I follow your blog. Love the duct tape many uses. I follow you on My Craft Channel. You are one creative gal. I watched the video. FUN!!! I love the covered notbook. What a great idea for summer camp crafts! I really want to find the mustache duct tape. Great ideas! Watched your video on MyCraftChannel. I think my favorite are the flowers. Also didn't realize could use with Cricut and other cutting tools. Can't wait to try!! I love your videos because I learn something new and get inspired to try different things. 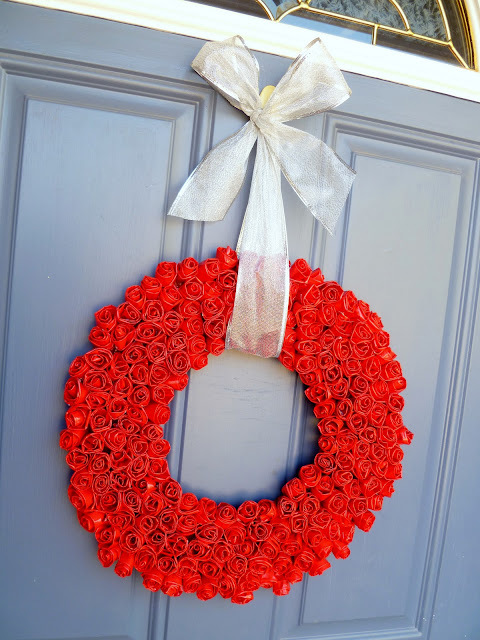 I liked the roses idea with duct tape. I've seen people make gowns and such and it is amazing. Thanks for sharing and for a cool giveaway. My daughter just watched the IBP episode, and her favorite things were the flower on the notebook/folder, and she LOVES the mustache duct tape! 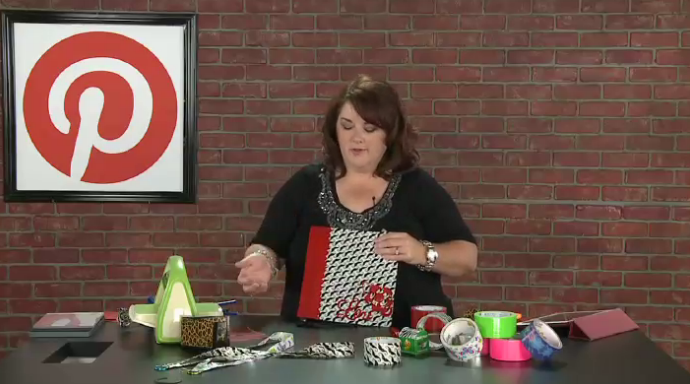 She's actually taking a Duct Tape Art camp this summer, so thank you for all the great ideas! Just watched your video on the duct tape, I have hoarded mine for quite sometime now ..thinking I would eventually make something. I love the notebook. I am really getting into all these tape ideas! Great to do with kids and on the cheaper side Yay!!! Following my craft channel on Facebook! I loved learning that you could run it through your die cut machine. My mind started going crazy with ideas. Love everything about the duck tape. I "liked" My Craft Channel on FB. I left a comment of My Craft Channel. Loved your episode Lori! I can't wait to make the duct tape lanyards. I have some duct tape but haven't tried to make anything, now I'm pulling it out. I follow MCC and love the shows. I love your show. I had no idea that you could do so many things with duct tape. I'll bet my 15 yr. old would have a blast with it. All the projects were adorable! And I especially liked seeing how to piece the duct tape together and running through the Cuttlebug. Love love love the binder! Can't wait to try it! Thanks for all the tips, very helpful. I have been following you on FB, i love it. You have tons of great ideas! I love the lanyard idea. I follow on FB. As a 4-H clothing judge I saw a few prom dresses made from duct tape! They were amazing. I signed up for your emails. Thanks for the great giveaway. Hi Lori, I love watching your Pinterest videos! I really liked the pen rose you showed how to make. My daughter loves Zebra print, so I'm going to make one for her!! Thank you!! Hi Lori, I am now following your blog, and off to friend you on FB. I am following you on FaceBook !! Thanks for the chance to win! 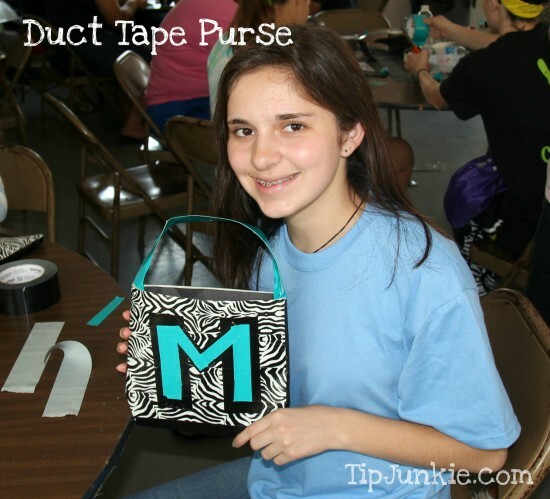 I loved all the ideas for using duct tape. I think that covering the binder was my favorite...I have to find that tape with the mustaches! I haven't seen it anywhere in Houston. Thanks for the inspiration! I think the flowers are cute. I might have to try them. I follow you on pinterest. I love your boards. Loved the ideas, my mind is running wild with things I can do around the house. Am following you on pinteerest also. Love My Craft Channel, have watched it since the start and also thoroughly enjoy all your inspired by pinterest posts too. I am already a follower on my google reader of this blog. As well as watching My Craft Channel, I am already a friend on their Facebook page. I forgot to say my favourite part of the show today was the lanyards. We can't get the patterned tape over here (UK) yet but hopefully it will reach our shore soon! I've never done any duct tape crafts. Thanks for the video inspiration!